It is the nightly custom of every good mother after her children are asleep to rummage in their minds and put things straight for the next morning, repacking into their proper places the many articles that have wandered during the day. If you could keep awake (but of course you can’t) you would see your own mother doing this, and you would find it interesting to watch her. It is quite like tidying up drawers. … When you wake in the morning, the naughtiness and evil passion with which you went to bed have been folded up small and placed at the bottom of your mind: and on the top, beautifully aired, are spread out your prettier thoughts, ready for you to put on. Of course, sleep is not very interesting to children. But, oh! what a soothing image of Mother putting things straight at the end of the day. I wish someone would pack up my ugly rumpled thoughts and put them at the bottom of my drawers for me. And I thought of Mrs. Darling, flying through her window and off up to Sweden to do nocturnal housekeeping there while her own children were away. Below is an excerpt from an article by James Collins in The New York Times about not being able to remember what he reads. He describes exactly my never-ending frustration with my memory. I remember that I loved (or not) a book, but that’s it. Emotional recall, but no specifics of plot or theme, let alone details like form and imagery, or the ever-enviable ability to quote from memory. It is why I annotate so heavily when I read. 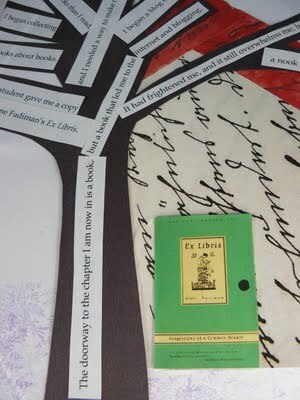 I must leave a trace of myself on my books, since they will not leave enough traces of themselves on me. 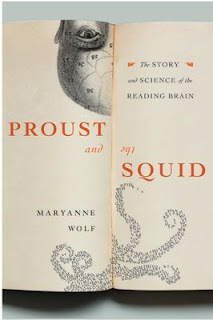 I called Maryanne Wolf, a professor of child development at Tufts University and the author of “Proust and the Squid: The Story and Science of the Reading Brain.” I described my “Perjury” problem — I was interested in the subject and engrossed in the book for days, but now remember nothing about it — and asked her if reading it had ultimately had any effect on me. She went on to describe how reading creates pathways in the brain, strengthening different mental processes. Then she talked about content. 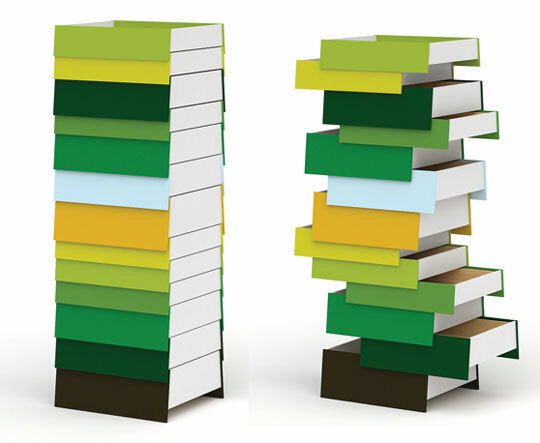 Gestalt knowledge is also what was at work in the push to put the great books onto university calendars and into middle class homes. There was a hope that the books that formed the gestalt of western civilization could be made more than the collective unconscious. Great Books or great books, I live with the hope of being able to remember them better. Thank you, blog, for giving solid form to at least some of my wraiths of memory. I have been trying to articulate for myself the precise pleasure of reading an excellent book. It is a full-body pleasure. If I have reservations about a book, I feel it physically as I read. Some part of me does not relax, some part of me will not let go. With excellence and expertise, I am putty in the author’s hands. This has to do with trust. And hope. It’s like having a crush on someone, too. There is a tingle, a physical excitement. I am my own best self in its company. When I stop reading, there is withdrawal, hangover, need. And when I have finished the book, it takes up its place in my mental geography. It is on my map of the house, and I can see it in its snug spot on the shelf, pulsing, waiting for me to be reclaimed by its pleasures again. I don’t always remember why, but I know it to be true. I keep coming across passages in books that describe a child’s difficulty with reading, and I am very powerfully drawn to them. Joan Bodger’s description of her children’s enormous store of literary knowledge, there in spite of their inability to read, struck such a chord with me, and Daniel Pennac’s evocation of the transition from being-read-to to reading on one’s own made me ache. Even Helene Hanff’s description of herself as an autodidact in her teens and twenties (and beyond) made me reel in admiration. My attraction to this topic is a puzzle to me, because my own kids love books and, though only one so far can read independently, I do not worry about either their ability or their desire to read. Still, the story of the false start, the late start is so appealing. In part, I think I am attracted to the narrative drive of struggle leading to success. I also have a soft spot for love stories, especially when the love is bibliophilic. Then there’s the fact that I like to be reminded that not all book love is high-minded, and that the mass market bestsellers are so called because their fans are legion. I know the pleasure of a good read, and I would not presume to deny it to someone who has different tastes than mine. I realized today, though, that my attraction to the late-to-the-party story is about redemption. I am grasping at my own second chance to be the kind of book lover that I would like to be: the kind who remembers, who can rhyme off lists of great reads, who has an anecdote for each author and book to hand, stories to flesh out the words on the page that I will recommend. As it is, I have an awful memory, I read only a fraction of what I would like to, and I can barely remember the books I have loved, let alone suggest to others what to read. My blog has become my one, small kernel of hope that I can be a better book lover. Writing here is my second chance at a different relationship to books. Here I have an archive and a daily incentive to push myself to read just that bit more, to edge myself closer to the feeling of having arrived at Enough, at A Job Well Done. Lorna Crozier was late to reading, as I am late to memory. Being late to reading for Crozier was simply a matter of circumstance. When she was a child, families had to pay for Kindergarten, and her parents could not afford to send her. She did not go to school until grade 1, and when she got there, she could not yet read. After the first few days of observing her new students, Miss Bee divided our class into four groups of readers: bluebirds, meadowlarks, sparrows and crows. I was placed in the last group…. It didn’t take a genius to figure out the difference. Bluebirds were so special that farmers like my uncles and grandfather built houses for them, nailing the small boxes to the fence posts along the fields. When a bluebird took flight, you’d have sworn a scrap of sky had grown wings, and they and the yellow-throated meadowlarks sang so beautifully it was as if someone had tossed a dipper of well water into the air, each drop a clear, bright sound. Even tough men like my dad and grandfather had to stop in their tracks to listen. 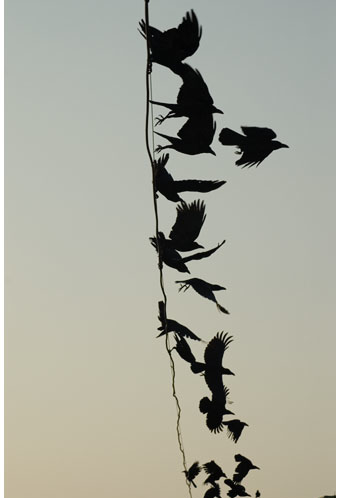 Crows couldn’t carry a tune. They cawed and cawed; something stuck in their throats, and they had to cough it up. They flapped through the air like tar shingles torn loose by the wind. On the ground they walked stiffly, as if they’d had polio like Jimmy Coglin up the street and their legs were caged in metal braces. If too many of them gathered in town, the city sent out a man to shoot them. That last sentence makes my heart break. I love the layers of gradually accrued perception here. As a newcomer to the class, she was obviously aware of being placed in the lowest rank, but look at the number of layers of time and place from which she revisits that shame. She is out on the prairie drinking in birdsong and knowing herself excluded from its special status. 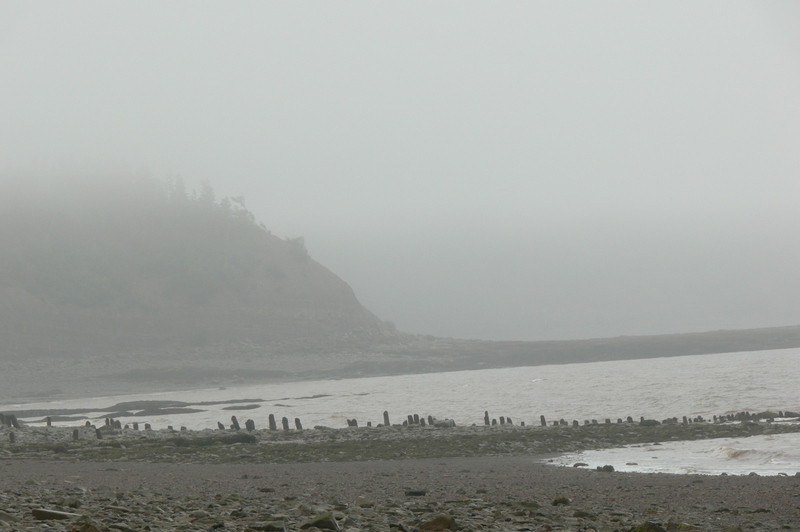 She is a poet with a lifetime of imagery behind her, and she creates a synesthetic layering of impressions. She is a child observing gender roles and watching them blur as men soften to the sounds of the birds. She is an adult remembering class and gender stratification, remembering the outcasts. She is a woman who is sometimes called “Crow” (short for Crozier) and can bitterly create a string of negative associations. What part of her was forever held back, caged in metal braces? My last name, Foy, is Irish and it derives from fiach, raven. I love looking at blackbirds, though they may caw and caw and stumble like drunks. I have an affection for all corvids based on that linguistic affiliation, and now I have this wonderful store of dark images to add to my magpie collection. I sat down to finish reading The Letters of Sylvia Beach. I read The Believer instead. And I have to tell you that I may not have to wait until I grow up to become Nick Hornby. He read The Prime of Miss Jean Brodie last month. 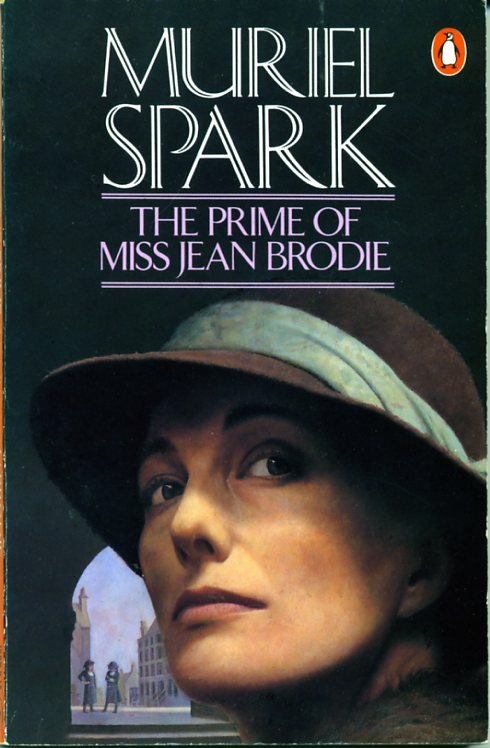 I read The Prime of Miss Jean Brodie last month. 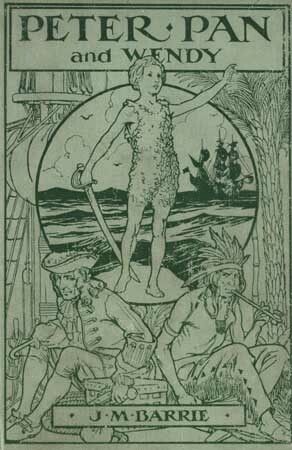 He bought J. M. Barrie’s Peter Pan last month because Jane Hayes’s Who Is It That Can Tell Me Who I Am? The Journal of a Psychotherapist told him to. I put Peter Pan on my hardback wishlist because Laura Miller’s The Magician’s Book told me to. That’s all. Back to Beach. I’ve seen them on the subway. I’ve seen them in coffee shops. I’ve seen them on a glossy ad that my husband put on my desk with a post-it affixed that read, hopefully, “Perhaps for my next birthday/Father’s Day/anniversary?” and then took away because he said that the jury is still out on which is the best. 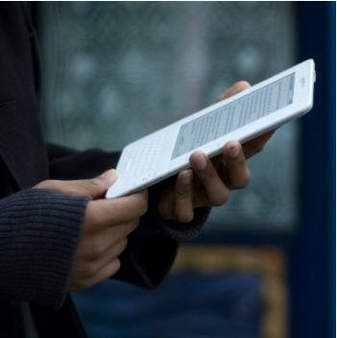 Well, yesterday, I saw a woman walking while reading her e-reader. Do you read and walk?